Members of Alloplectus are epiphytic subshrubs with fibrous roots. The genus, having been a taxonomic wastebasket for a long time, with more than 140 species referred to it, was drastically remodelled by Wiehler (1973), and most recently – essentially based on molecular data – reduced to 5 species by J.L. Clark (see Clark 2005, 2006 and Clark et al. 2006). The remaining species have been referred to seven other genera. 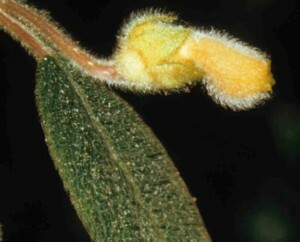 Characteristic features include obligate epiphytic habit, profusely branched stems, ± isophyllous leaves with inconspicuous secondary venation (at least when dry), non-resupinate flowers, corolla pouched below the mouth, longitudinally splitting anthers, and fleshy capsules. The genus is related to Glossoloma, Crantzia, Drymonia and Columnea. Possibly, no species of Alloplectus in the present restricted sense are in cultivation (Clark 2006).